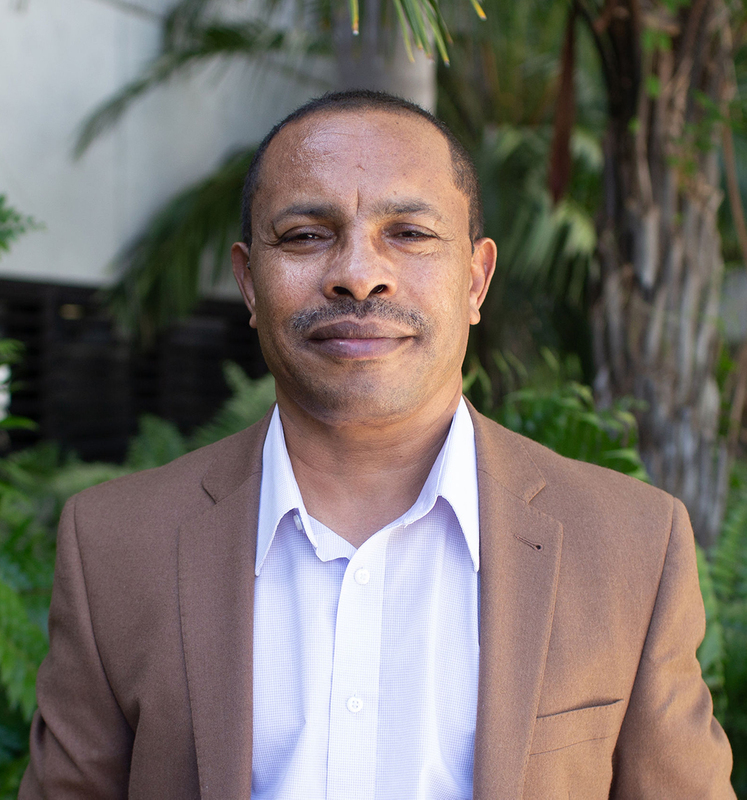 Dr. Assefa M. Melesse is a Professor of Water Resources Engineering with background in remote sensing and geospatial applications to hydrological modeling. He earned his M.E (2000) and Ph. D (2002) from the University of Florida in Agricultural Engineering with two concentrations (Hydrological Sciences and GIS) and 3 minors (Civil Engineering, Environmental Engineering and Remote sensing). Professor Melesse was an Assistant Professor at Alemaya University, Ethiopia and at the School of Aerospace Sciences, University of North Dakota before he joins FIU. He was tenured and promoted to Associate Professor in 2008 and to Full Professor in 2014. His areas of research and experience include spatially distributed hydrologic modeling, ecohydrology, spatial surface water balance modeling, sediment transport, surface and groundwater interactions modeling, spatial evapotranspiration mapping using remote sensing, water-energy-carbon fluxes coupling and modeling, remote sensing hydrology, climate change impact modeling, river basin management and land cover change detection and scaling. He has also worked on the application of artificial neural network and other statistical learning techniques to hydrology. He has vast experiences in the Nile River basin and the Caribbean islands. Dr. Melesse was a Fulbright Scholar in Ethiopia in 2012. Dr. Melesse has ample experience in river basin runoff modeling employing GIS and data from remote sensing. He has served as major/co-major advisor of over 50 Ph.D and M.Sc students since 2004 at FIU as well as at collaborating international institutions. Dr. Melesse is a registered Professional Engineer (PE) and also Diplomate of Water Resources Engineer (D. WRE) with over 30 years of teaching and research experience. M.E (Master of Engineering), Agricultural and Biological Engineering, University of Florida, 2000. M.Eng.Sc (Master of Engineering Science)., Agricultural Engineering, National University of Ireland, 1991. Dr. Melesse's Hydrological Modeling and Geospatial Applications Lab works in understanding water, contaminant and energy fluxes in the face of land use and climate changes using spatial tools, ecohydrological models and remote sensing. Our team has diverse research interest including evapotranspiration modeling, suspended sediment modeling, contaminant transport, statistical hydrology, coastal eutrophication mapping, urban hydrology and heat island effect. His areas of research include spatially distributed hydrologic modeling, ecohydrology, surface and groundwater interaction modeling, climate change impact studies, water-energy-carbon fluxes coupling and modeling, remote sensing hydrology, land cover change detection and scaling. He and his students conduct research in the above areas and published a number of peer-reviewed publications. He also teaches graduate and undergraduate courses and provide service to his profession and university at various capacity.